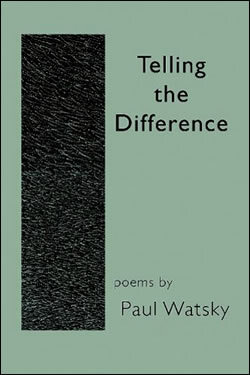 In the month of October, with the only book of poems in the 2012 Depth Psychology Alliance Book Club, Paul Watsky will lead you on a contemplative journey that invites you into the deep poetic leanings of soul. Join the Book Club this month and enjoy "Telling the Difference." Paul Watsky, author of the poetry collection Telling The Difference grew up in New York City and began writing poetry during high school. 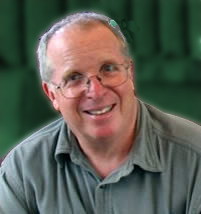 He now lives and works in San Francisco, where he earns his living as a Jungian analyst. He has published three chapbooks, "More Questions Than Answers" (tel-let 2001) "Sea Side" (tel-let 2003), and "Extra Innings," (2010, online at Interpoezia), cotranslated with Emiko Miyashita Santoka (Tokyo, PIE Books, 2006), and has poems in various journals, including Poetry Flash, The Cream City Review, onthebus, The Asheville Poetry Review, The Pinch, Natural Bridge, The Alabama Review, and forthcoming in Many Mountains Moving.